The Newcastle Backgammon Club commences it's 2019 season on the 11th and 25th of January with a social games nights. The Club Championship starts on February 1st. The social games nights give members a chance to tune up for the new year and to give any newer players the opportunity to be shown some of the nuances of play by more experienced players. The club is based upon friendly competition with the main emphasis on a Club Championship rather than money play. Membership fees are $10 per year and playing fees are $5 per player per night. There are 20 round robin Club Championship tournament nights per year along with 3 knock out tournament nights and a Presentation night (link to dates below). 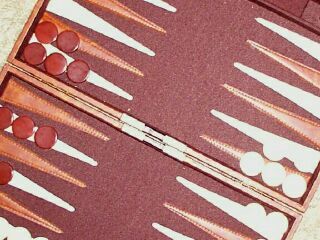 The Newcastle Open Backgammon Tournament is held yearly. The tournament is run as round robin qualifiers into an 8 person KO final. Results can be found through this link. Telephone Club President Robert Disney 4946-9222 (Int'l +61 2 49469222) or email for more information. There is a public group and a page on Facebook. Search Newcastle Backgammon Club Australia. A slightly longer history of the club can be found here . The only times the fortnightly schedule is changed is to avoid public holidays etc. For a current list of meeting dates click here. The Club Championship table can be found here.